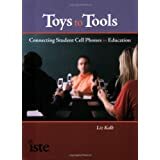 From Toy to Tool: Cell Phones in Learning: Does Your 9 Year Old Have a Cell Phone? 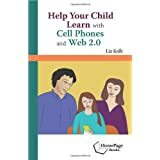 Does Your 9 Year Old Have a Cell Phone? The average 13 to 17 year old sends 2000 text messages a month! As an elementary school and parent of a middle schooler, this fits with what I've seen. Even in my high poverty school (98% free lunch), many students, some in primary grades, have phones. While they aren't ubiquitous, they are widespread. I've seen 4 year olds operating cell cameras at the local McDonald's Play Place. As my son was leaving elementary school last year, we were having him start to walk home on his own, and gave him a cell for communication. 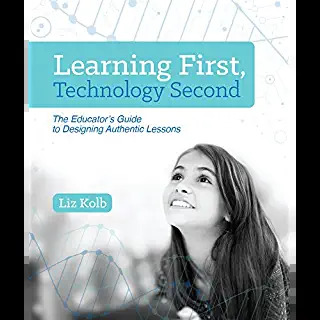 I think the problem is that schools don't think of these kids having phones, so they don't bother teaching them how to use them appropriately. We arranged things with my sons school, and gave him instructions on appropriate use. Because of this lack, student don't learn how to use them appropriately, especially in school/work context, and may pick up habits that aren't so great by the time they hit high school. I think the age to buy kids cell phones depend on the maturity level of the child. Having said that, I think prepaid phones are the ideal for kids. As a parent of a 10 yr. old boy who just got a cell phone, I love not having to worry about the possibility of my son talking/texting all night or crazy phone bills. I bought him a Net10 phone..like the simplicity of the plan. There's no contract so if he misbehaves, I can take the phone away from him without having to pay a penalty. Thank you both for the great comments! I am finding more and more parents are turning toward pre-paid options because of the overcharges. I am also learning that more pre-paid companies are offering better options. I also agree that cell phones bridge the SES divide. 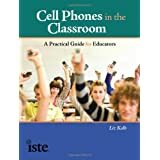 I find many more students have cell phones in Detroit schools than have computer access at home. Empowering and engaging kids in classrooms helps them retain and inculcate knowledge at a greater pace. 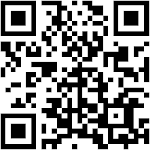 It may not always be serious learning but the foray of iPhone apps- educational has made learning quite ongoing.